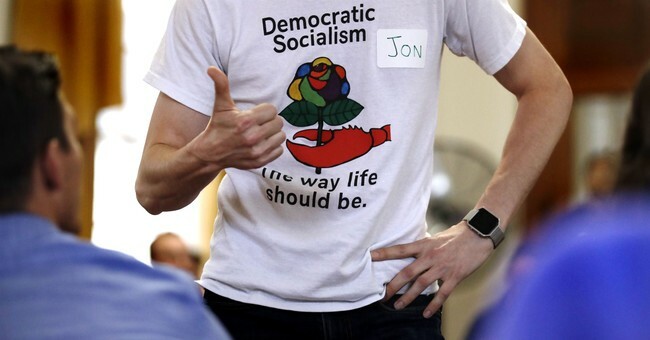 In the spring, a European socialist party challenged me to take the time to read “what socialists really believe” about collectivism, instead of relying on what many socialists claim are mischaracterizations of the teachings of people like Karl Marx. At first, I was skeptical, but after careful consideration, I decided to spend my summer immersing myself in socialist articles and books. 1. Many forms of socialism are virtually identical to communism. It’s better to think of socialism as a big tent, similar to how “conservatism” is a big tent with many different subgroups. And it’s more accurate to think of communism as a type of socialism that’s essentially synonymous with Marxist socialism than it is to think of communism as a more extreme form of collectivism. 2. Socialists don’t just want market “fairness,” they want a totally classless world. If you could sum up Marx’s primary concern, it would be that he believed the presence of classes (different groups in society with varying degrees of wealth) lead to exploitation. Marx believed the workers of the world are routinely mistreated by those who own most of the businesses and that it’s unfair the business owners receive so much of the wealth when they often don’t physically provide any labor of their own. For Marx, the only way to stop this exploitation and prevent it from occurring in the future is to eliminate all classes and create a world in which everyone gets the same amount of wealth (whatever they need, but not necessarily what they want). How can classes be eliminated? By seizing everyone’s property, redistributing the wealth, and collectively owning and managing all industry. 3. Marx openly called for a radical revolution and the rejection of property rights, and many of today’s socialist parties also do. 4. Socialism has never been fully adopted anywhere in the world, according to socialists. One of the more surprising things I learned is that most socialists don’t consider China, Venezuela, Soviet Russia, or North Korea to be real socialist or communist nations. In fact, many socialist writers say there has never been a truly socialist nation in the history of the world, because socialism in its fullest form requires there to be no classes, and in places like Venezuela, there are definitely classes: those who rule and tens of millions of impoverished citizens who are victimized by the rulers. It’s true that Marx and other socialist thinkers would not consider many of the countries we often think of as “socialist” as being in line with their ideology (because those countries still have classes). However, free-market advocates such as myself would argue the reason socialism has never totally taken root is because socialism is impossible to achieve! If you try to collectively own and manage everything, you inevitably end up with tyranny, and tyrants don’t often give up their power willingly. 5. Socialism requires global government. Although some socialist parties might disagree with this claim, it’s pretty clear from reading Marx’s writings and using basic logic that for socialism to work anywhere, it must exist everywhere. Why? Remember that socialism’s primary goal is to completely eliminate classes, and the only way to do that is to take their property so that the collective can own and manage it. What would happen if you tried to do something like that in the United States today? Almost everyone with wealth would try to leave, of course, in search of a place where they won’t be punished for having wealth. That means there would be less wealth to go around in the newly formed socialist nation, causing living conditions to immediately and sharply decline. Even if you could manage to prevent all wealthy people from leaving a country, you still wouldn’t have a classless world, because some countries have more wealth, land, natural resources, educated citizens, and infrastructure than others. That means without a global government managing all the world’s wealth, you’re still stuck with a class system: countries that have wealth and countries that don’t. There are many more things that could be said about socialism, but one thing is abundantly clear after having read through numerous socialist works: Marx’s socialism is radical, delusional, and incredibly dangerous. Justin Haskins is the co-founder of StoppingSocialism.com.